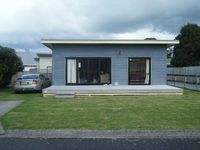 Properties in Waihi Beach average 4.6 out of 5 stars. Property 3: SNAZZY! Right in the middle of the action! Property 14: Brilliantly positioned 35 metres from the beach. Beachfront, near new, big views, north end. Property 21: Beachfront, near new, big views, north end. Property 25: This is a real kick back bach - come and relax! Property 31: Sun, Sand and Serenity! Property 33: Relaxing central retreat 500m to beach. 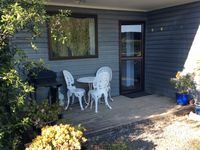 Fabulous Private Modern holiday home 2 minute walk to beach Dillan St area. Property 34: Fabulous Private Modern holiday home 2 minute walk to beach Dillan St area. Waves right on your door step! Property 41: Waves right on your door step! Beach and Shops 300 steps. Lovely, clean and quiet. Property 47: Beach and Shops 300 steps. Lovely, clean and quiet.